Hi. Yesterday I noticed something odd in my Polaroid Impulse AF lens. When I looked close, I could see that there is a black curve behind the outer lens. 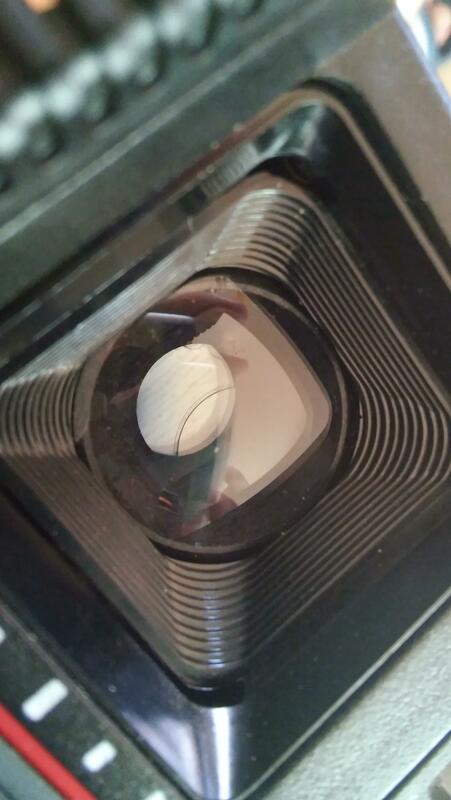 As I looked at it from different angles it turned out to be a lens sticking out and partially covering the inner lens. It doesn't affect the photos, all images turn out normally, but I am worried about what it is, if it is broken or it's a normal thing. I think it's not the lens but a part of the shutter. Nothing to worry about. There is the same thing in my Impulse AF and it works fine. Okay, it's good to know that it is a normal thing, for a moment I was afraid that my camera was broken and I will have to disassemble it.